This is Japanese biggest floating crane, built by Mitsubishi heavy Industries Division. 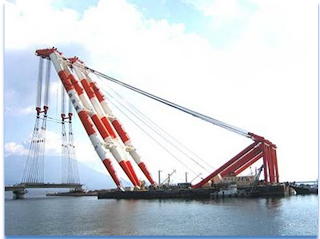 Boom length: 132m. Lifting capacity: 3700 tons. 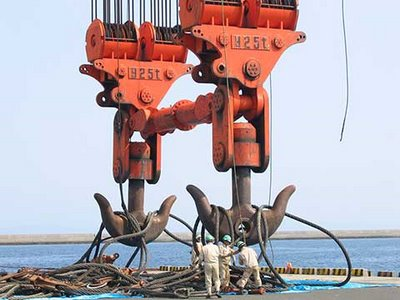 Each hook is 10 meters tall. The workers around it look as small as ants. Some 800 steps lead to the tip of the boom, to the small cabin on the top. 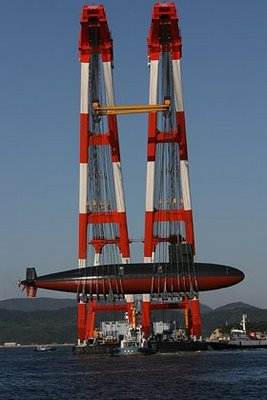 The Japanese submarine SS-600 Mochishio is lifted at the Kobe Kawasaki yard. 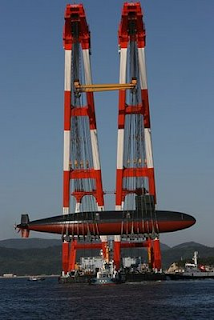 The Mochishio is the last of the Oyashio-class and is approximately 84m in length.The task is to lift the whole bridge sections, each weighing approx. 3500 tonnes. 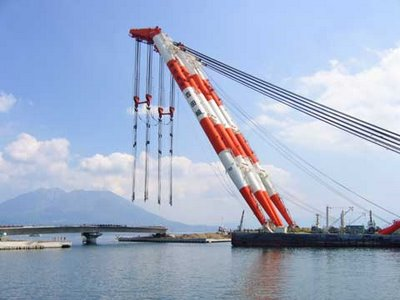 Will a platform 6M x 3.25M built from steel diagional beams withhold 80Ton? This page is insightful and helpful. Thanks for sharing. Lots of people will assert that everything in your site is great. You can also visit Precision Drawell's website for steel wire manufacturers.